Over the years more and more focus is gathering around natural and organic skincare products. There is more information available on products and reviews from magazines to personal blogs who try and test products to give the readers the best advice for their skin type. When I was approached by Green People* I was intrigued to put their organic natural products to the test against the products that I use every single day which many I know use synthetic ingredients and chemicals. Will being natural make a difference when it comes to your deodorant or shower gel? The idea behind Green People started in 1994 when Charlotte Vøhtz searched the high street for natural products to help her daughter Sandra who was battling multiple skin allergies and eczema. But what she found that most of the so-called natural products contained mainly synthetic ingredients - did you know you only need 1% of natural ingredients in the formula for it to be called 'natural'? Charlotte wanted to create a range of natural skincare for her daughter which would be gentle yet effective - and so Green People was born in 1997. The brand promises to never use aggressive ingredients or synthetic chemicals such as sodium lauryl sulphate (SLS), parabens, phthalates, petrochemicals, alcohol (ethanol) or synthetic fragrances or colourants, and to never test on animals. 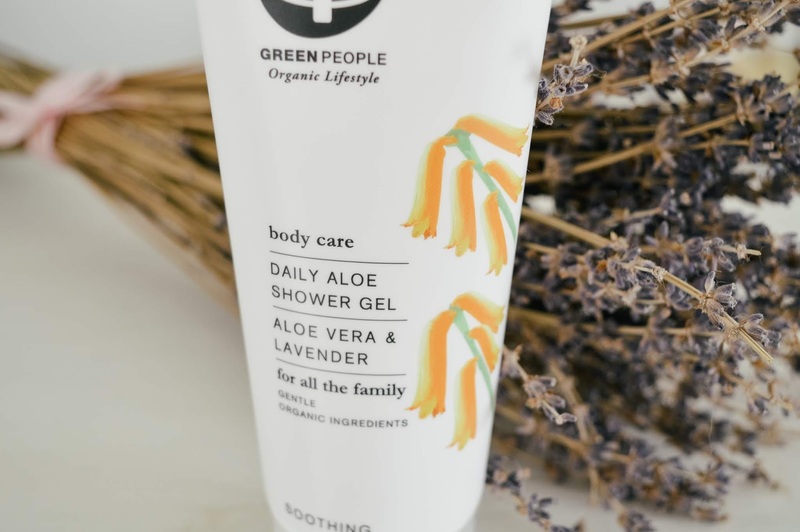 Today Green People products are packed with up to 99% active natural and organic ingredients to protect, nourish, balance and, most importantly, respect your body. But how do they work in practice? Read on to find out what I thought about a range of Green People products! The Green People Daily Aloe Shower Gel promises to moisturise skin with the help of organic aloe and leave it soft as well as clean, and has a calming aroma from organic lavender. It's a product marketed for the whole family, and boasts to last about 3x as long as other washes, but the biggest bonus I perhaps that it is suitable for those who may be prone to eczema and psoriasis. First impressions of the shower gel is that it smells soft and earthy - there is a hint of lavender coming through but it is very subtle, lovely for those who don't want a strong scent. The shower gel foam is soft and soothing - but leaves you feeling clean. If you're not prone to skin conditions or eczema, I usually don't feel the need to moisturise after using the shower gel because it is very soft on the skin. I can back up the brand in saying that this shower gel lasts a very long time! A little certainly goes a long way. With a price tag of £12.50, a fair little bit more than your typical £1 shows gels available at supermarkets in an assortment of flavours, this shower gel delivers what it promises so if you have sensitive skin or a skin condition it is worth the purchase. 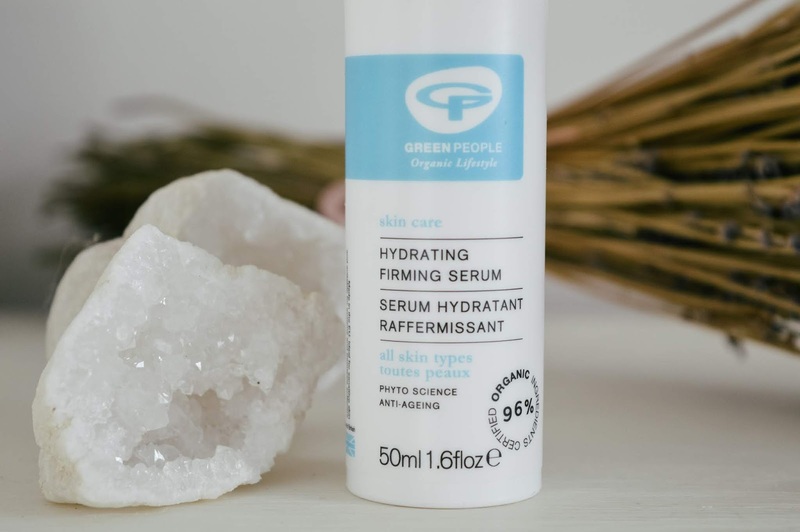 The Green People Hydrating Firming Serum is described as 'a remarkable organic serum which hydrates, reduces wrinkles and doubles collagen production'. It has anti-ageing benefits and reduced wrinkles, suitable for oily and very dry skin, and can be used as a makeup primer. The serum contains Organic Chamomile, Seaweed, Marshmallow & Rose Geranium and has 96% certified organic ingredients. This product is also suitable for those with eczema and psoriasis. I use this serum morning and evening after I have cleansed my skin and before I apply moisturiser - on the website it says apply with a light tapping motion but often I just smooth a thin layer over my face, especially in the morning as I'm usually running out of time! I like how this serum leaves my skin feeling moisturised and nourished - I have combination skin and it works very well. The products doesn't have a strong scent, in fact there is hardly any scent at all! 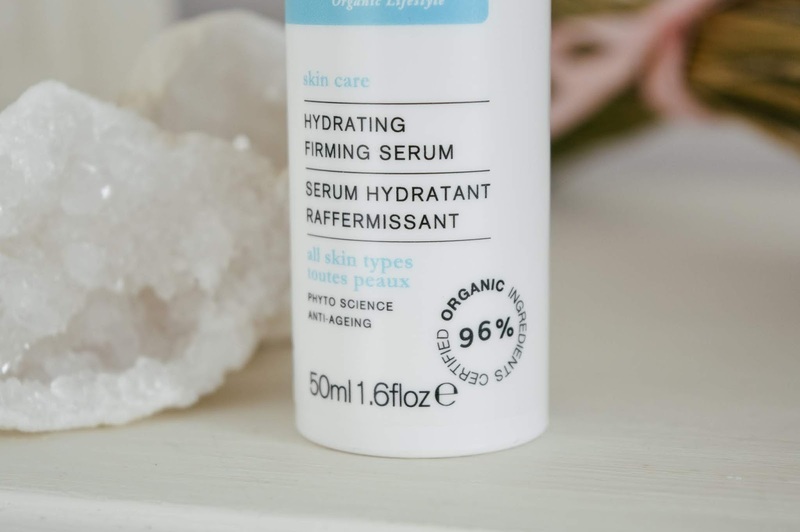 The serum costs £20 from Green People which I think is a fair price for this product as it lasts a very long time (I've been using mine for months now!) and it leaves your skin feeling lovely after use. I know a couple of people who have swapped their regular deodorants for organic and natural variations - to be honest, it's not something I have ever thought about in detail, but it's the product I was most interested to test out especially as 93% of testers said the Quinoa & Prebiotic Deodorant gave them 24hrs of protection. Prebiotics support healthy bacteria and restrict odour forming bacteria - it's a gentle on the skin but effective on the smell formula. 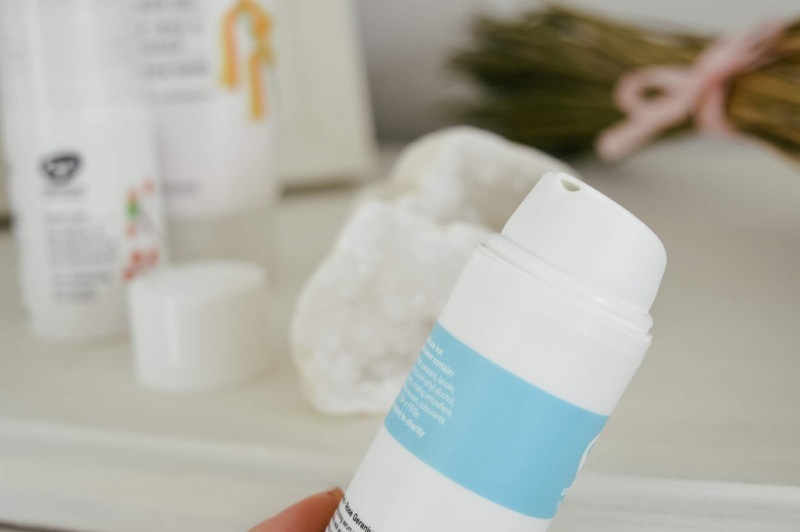 What is interesting is the amount of press attention which deodorants received because they block pores and can cause irritation - studies were finding out that maybe deodorants weren't as un-harmful as we all thouht of them to be! 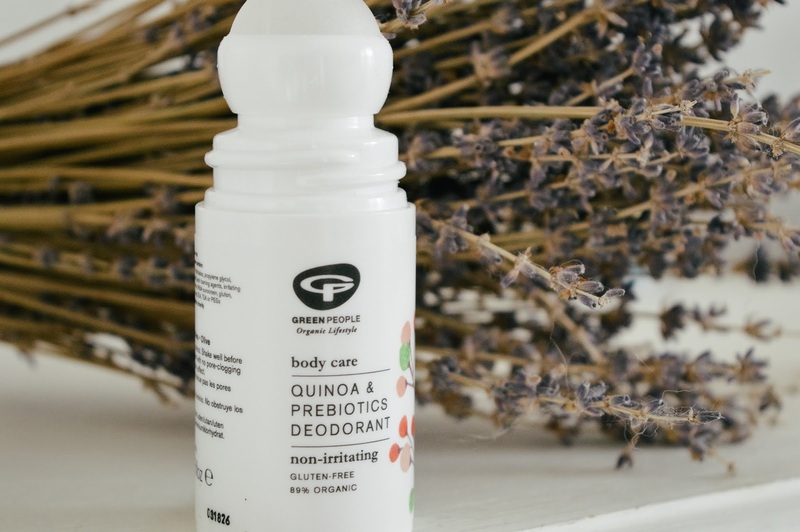 The Quinoa & Prebiotic Deodorant is non pore-blocking, free from aluminium chlorohydrate and drying alcohol AND contains 89% certified organic ingredients like Organic Aloe Vera, Quinoa, Prebiotics, Shea butter, Rosemary, Zinc Ricinoleate, Potassium Alum, Lemongrass and Orange. Spoiler alert - I quickly became a convert of natural deodorants. I enjoyed the earthy refreshing scent of this product which wasn't overpowering which meant that more of my perfume came through. The skin around my underarms felt soft, yet I was confident I had protection from any odour throughout the day. The product is priced at £10.50 which is expensive for deodorant however it does last a very long time and gives you 100% protection without causing any harm to a sensitive area of skin. The verdict for Green People? They get a big green thumbs up from me! Whilst you may be spending out more money for everyday products like shower gel or deodorant, if you have sensitive skin and want the product to last a long time then consider Green People. And what we can all take away from the story of Green People is that we should do research when it comes to skincare for specific skin allergies and conditions as advertisers can get away with murder when it comes to packaging and marketing their products - although the guidelines are much tighter now, it's always best to check just how natural and organic your products actually are. *The items featured in this post have been gifted by Green People for review & collaboration purposes.